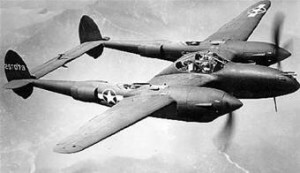 On April 8, 1942, a U.S. Army P-38 Lightning fighter plane, (Ser. No. AE-982) crashed at Bradley Field in Windsor Locks. The pilot, Second Lieutenant Philip R. McKevitt of Vinton, Iowa, was killed. Source: The Woonsocket Call, “Army Pilot Killed At Windsor Locks”, April 8, 1942. Just after takeoff, Lt. McKevitt noticed a problem with the right engine, and attempted to circle around back to base for landing. (Witnesses later reported hearing the engine sputtering.) As he was doing so, the aircraft went into a spin with insufficient altitude to recover, and crashed. The plane came down in an area a quarter of a mile from the Turnpike Road in the southwest section of Bradley Field, and burned. The crash investigation committee requested that the right engine be sent to Middletown Air Depot to be dismantled and checked for any signs of sabotage. Lt. McKevitt began his flight training on May 3, 1941, and graduated from Flying School at Kelly Field, Texas, on December 12, 1941. 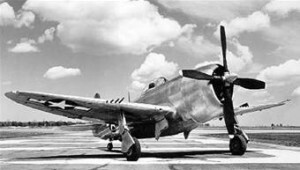 He arrived at Bradley Field only the week before his accident.